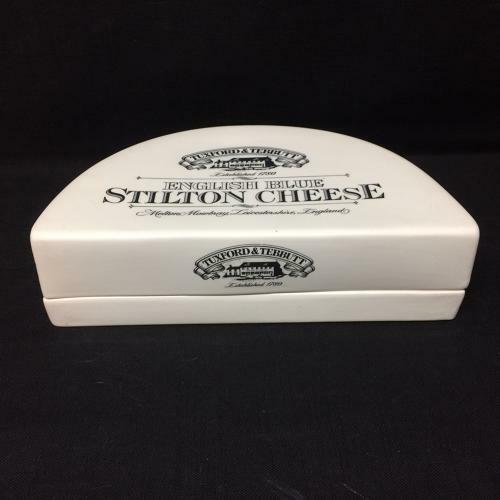 This is a mid-20th century ironstone STILTON CHEESE display covered dish. Originally used for displaying and preserving a half round of Stilton Cheese. It measures 9 5/8 " long x 5 3/8” wide x 2 1/2 " tall. The piece is in great condition. Bright and clean.